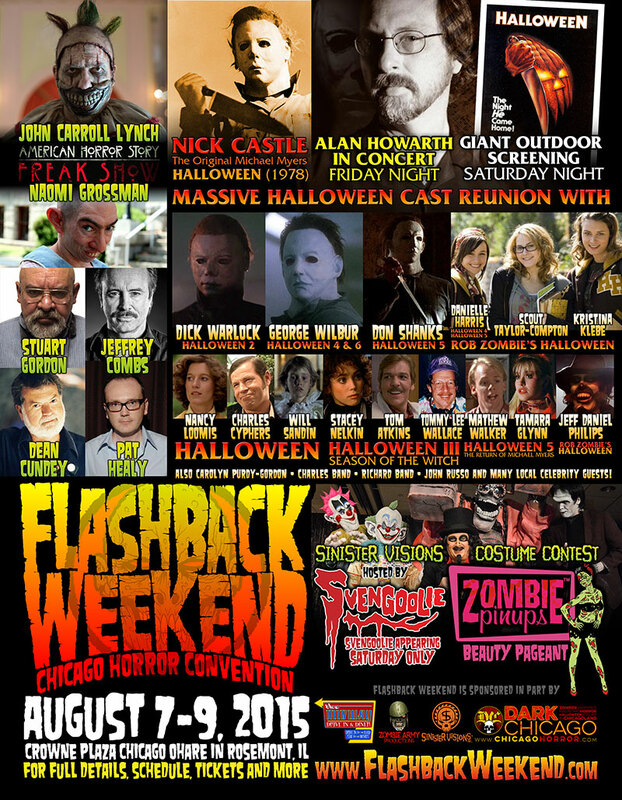 An unbelievable gathering of Halloween movie franchise icons is about to take over Chicago’s annual Flashback Weekend Horror Convention, which will culminate with an outdoor screening of John Carpenter’s 1978 masterpiece Halloween, to be introduced by many members of the cast and crew of the film that will be in attendance. Representing Carpenter’s original Halloween, cinematographer Dean Cundey and production designer Tommy Lee Wallace (who also portrayed The Shape in some scenes) will be joined by cast members Nick Castle (The Shape), Will Sandin (Michael Myers age 6), Nancy Loomis (Annie), and Charles Cyphers (Sheriff Brackett), among many others at this killer event. The screening, to be introduced by the cast and crew, is happening on Saturday night, August 8, at 8:15pm. 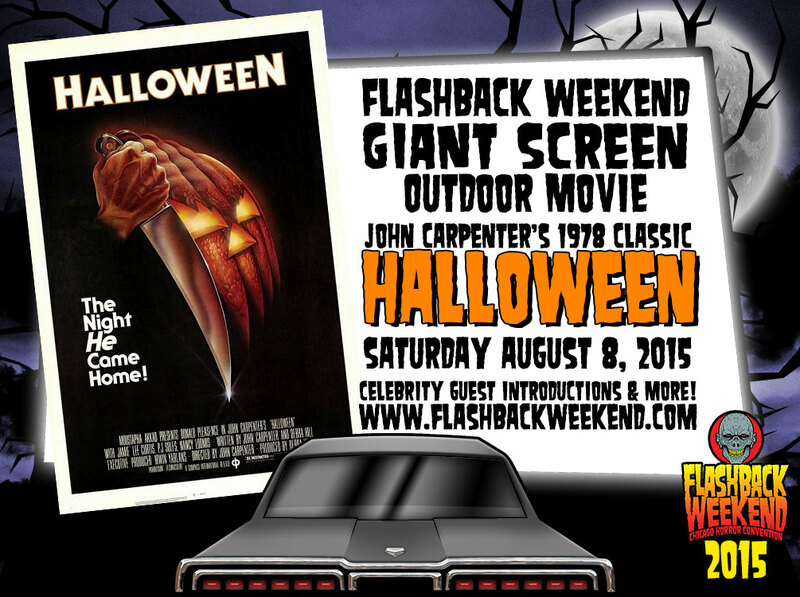 Composer Alan Howarth (Halloween 2-6) will also be performing a concert on Friday night, August 7. You can see the complete guest list (so far) of Halloween franchise veterans below! Keep watching HalloweenDailyNews.com as we continue to cover this landmark event, and if you are attending Flashback Weekend, be sure to let us know in the comments!